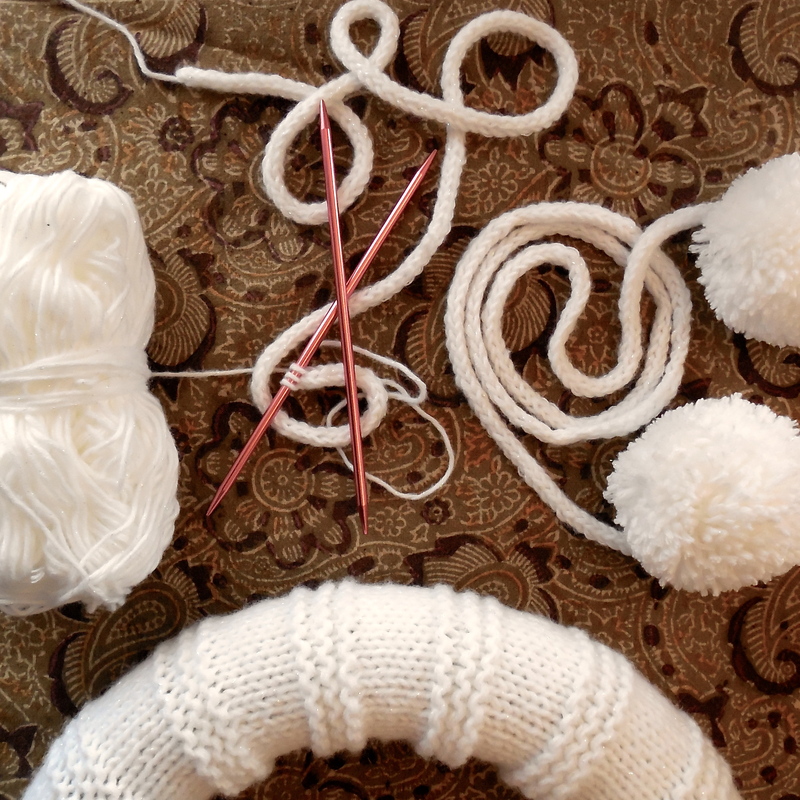 Florrie and I have been in the holiday knitting mood lately and I was so inspired by her Double Knit Party Chain that I wanted to get in on the action. 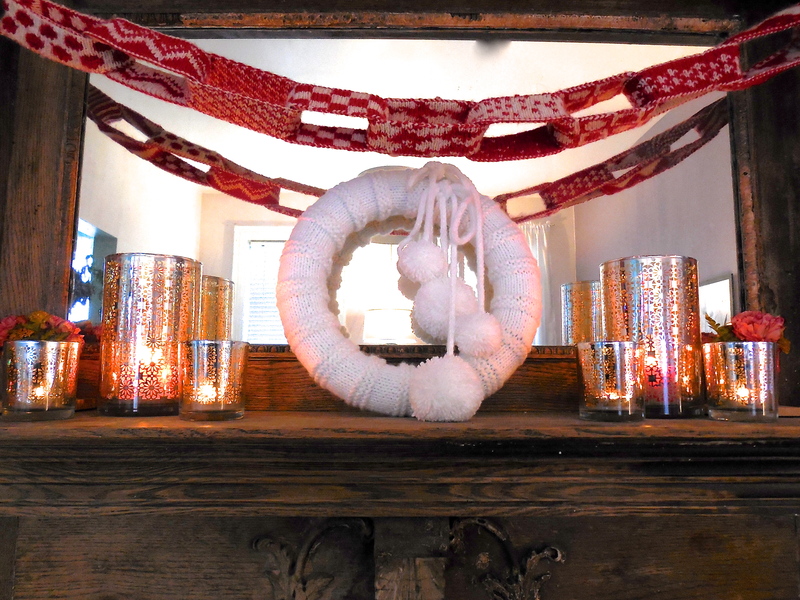 I came up with this quick and easy wreath. I generally prefer wool and natural fibers, but this Shimmer yarn by Red Heart caught my eye at the shop. I thought it would be so cute as a holiday decoration. 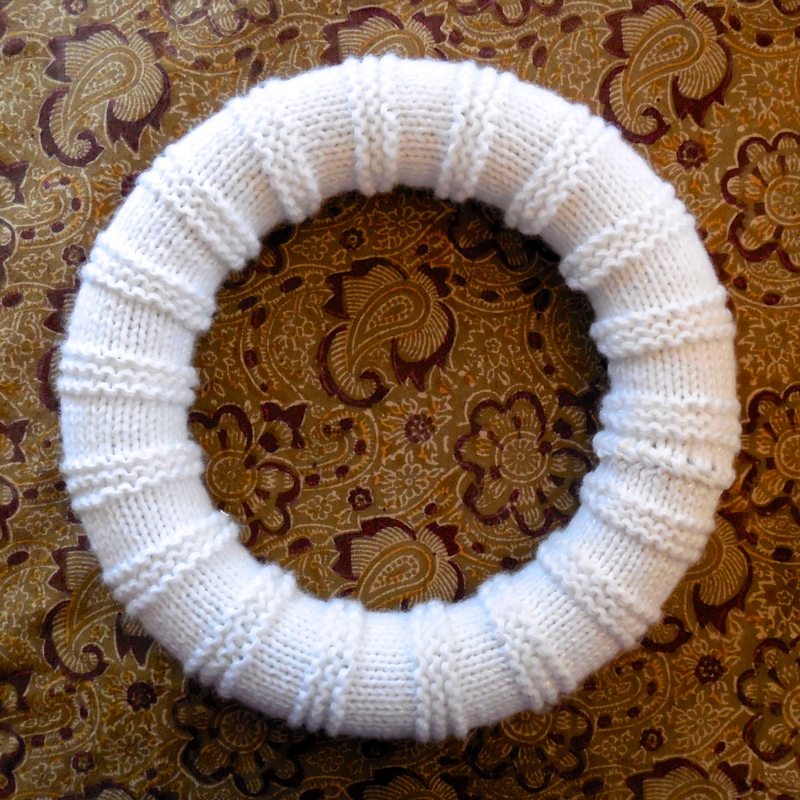 Its very hard to capture it in a photograph, but the yarn has a really cute shimmery strand running through the white. Its not super sparkly but its just enough to be merry. 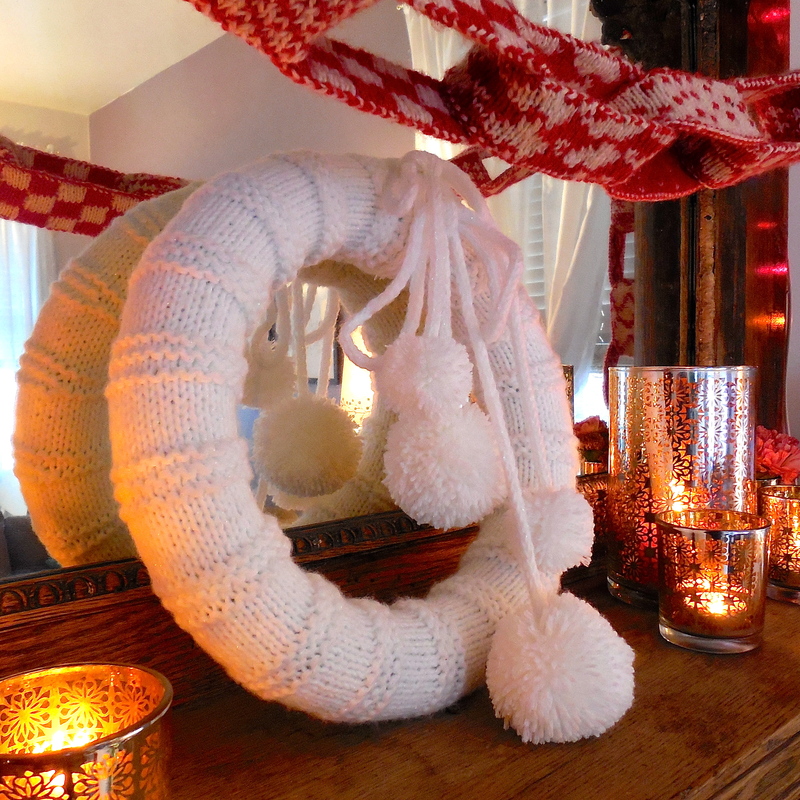 The yarn is snowy and white, so I can leave it up even after the holidays as a little wintertime decoration. I could have knit it flat and seamed it all up the back, but the idea of that much sewing made my skin crawl. Instead I pulled out my tiny Hiya Hiya US7 23cm needles and got to work. Worked in the round this knits up really quick. Most of the rows are knit. If you can’t find circular needles you can certainly use a set of double pointed needles, but circular are faster in my opinion.